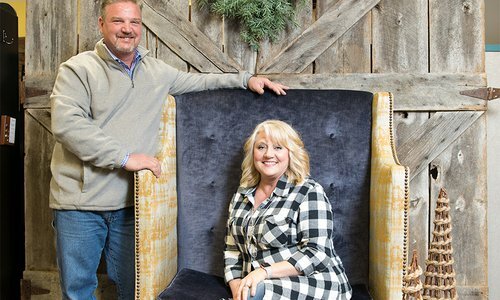 The owners of Bridge Upholstery and Drapery came by their craft in unexpected ways. 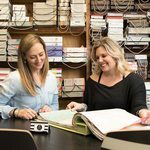 Now the duo creates one-of-a-kind home decor and reupholsters furniture, and there’s no project they can’t handle. 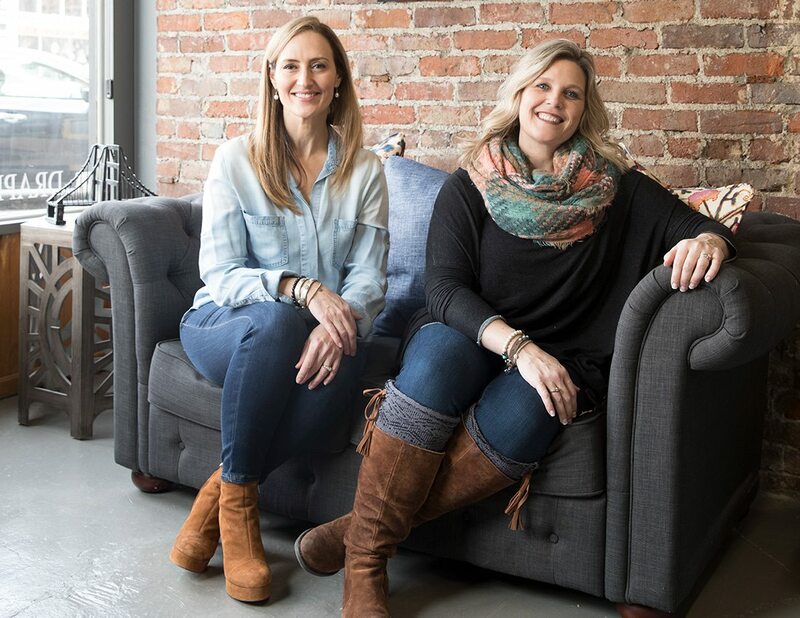 When Robbyn Bybee first met Manda Brandt in 2004, the design-savvy duo had no idea they would one day own a business together. 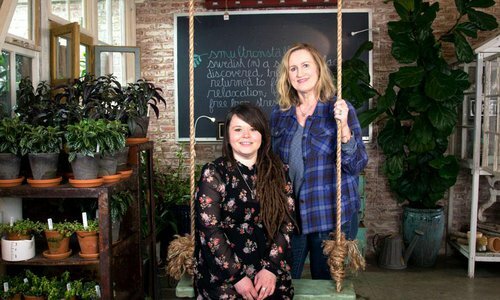 Their kids went to the same preschool, and they didn’t know each other well. It wasn’t until 2012 that they were reintroduced at church. This time the friendship stuck. 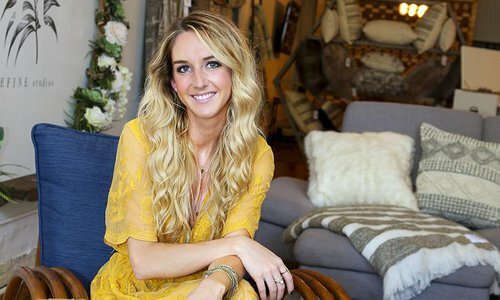 At the time, Bybee owned a drapery business, which she ran out of her home. She recruited Brandt to help on a larger project, and one turned into many. 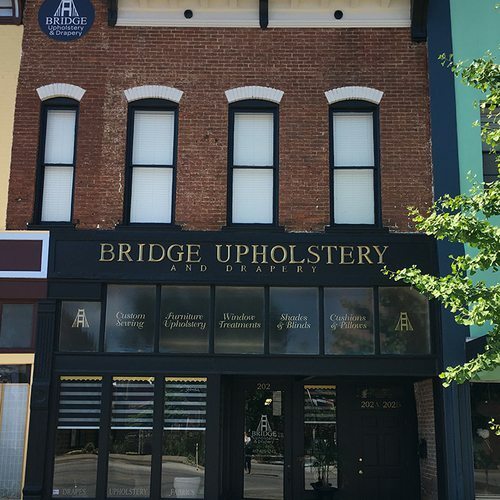 In September 2015, they opened Bridge Upholstery and Drapery, now on its second location since moving to Commercial Street in fall 2016. The quaint storefront masks the major work that goes on inside. 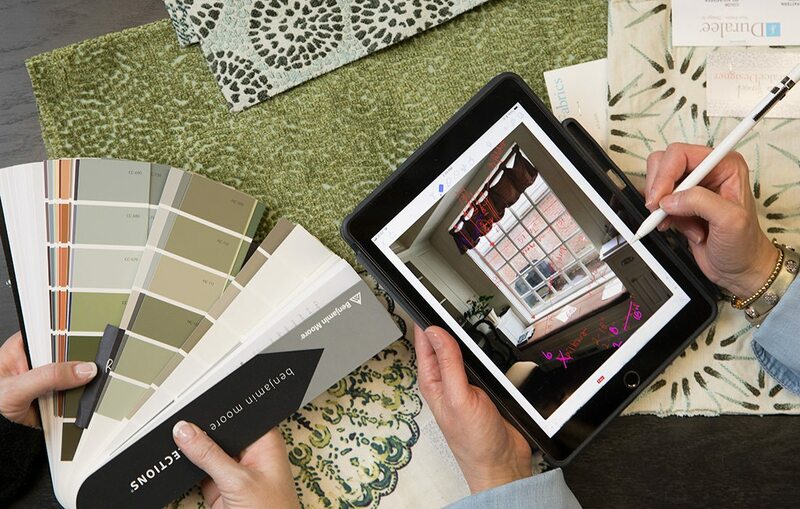 The women, alongside three employees, reupholster furniture and create custom shades, blinds, drapes of all kinds, pillows and window cushions for clients, in addition to selling fabrics, drapery hardware and, soon, DIY tools so you, too, can try your hand at a one-of-a-kind home decor. 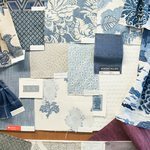 Photos by Brandon AlmsBlue Hues: Mood boards focusing on color and pattern hang in the hallway at Bridge Upholstery and Drapery. 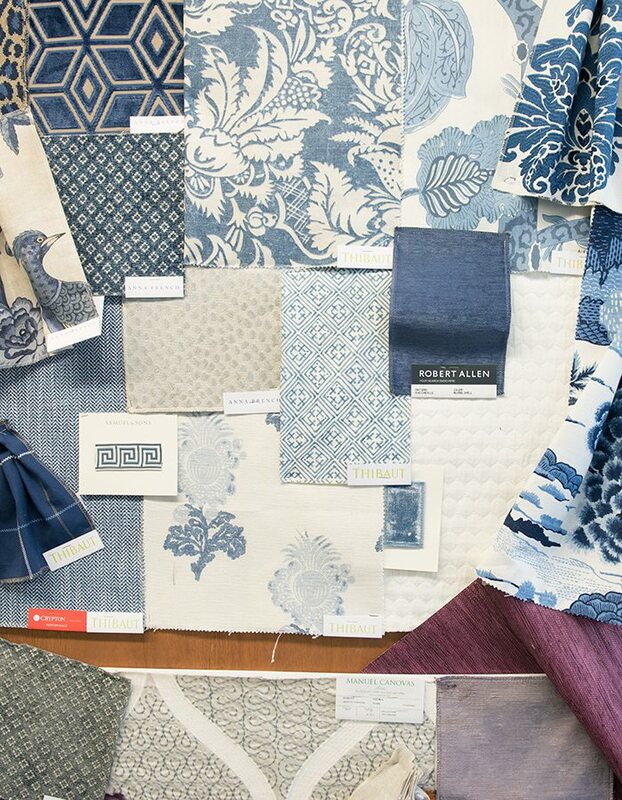 The blue hues are very popular this year. 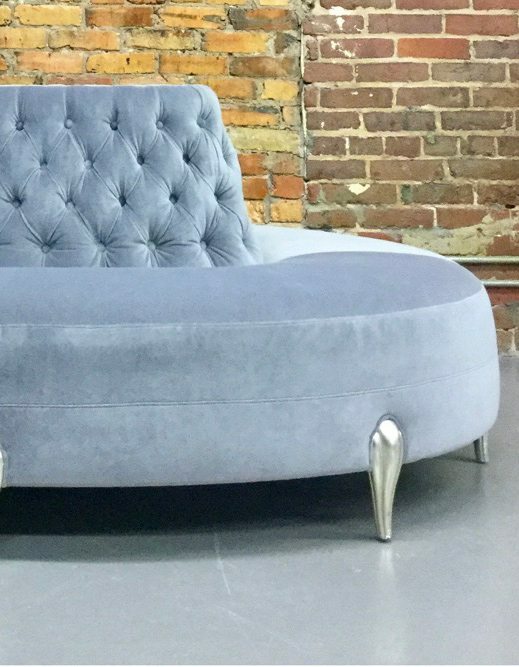 Photos by Brandon AlmsPretty in Periwinkle: The Bridge team reupholstered a Christopher Guy Portobello Settee for Obelisk Home in Thibaut Essex Velvet. Photos by Brandon AlmsThe Workroom: The pair works on reupholstering a modern sectional for Lucia Cann from Catalpa House Interiors. 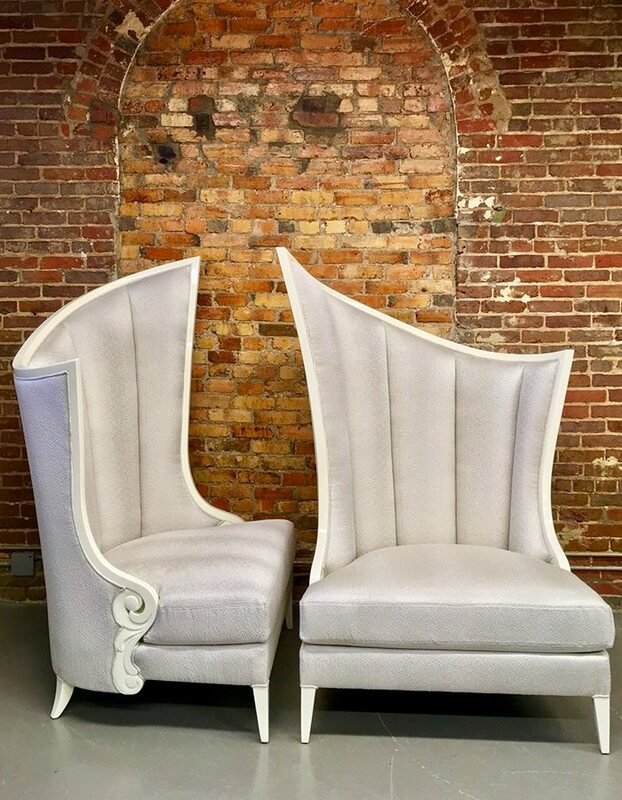 Photos by Brandon AlmsSit And Swerve: The Bridge team reupholstered these Christopher Guy Courbure Droite (right) and Gauche (left) chairs for Obelisk Home using Emerson Bentley Vastly Silver fabric. 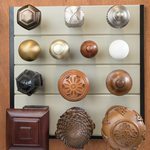 Photos by Brandon AlmsWhen One Door Closes: The store also carries a variety of hardware and door handles for your next project. 417 Home: Robbyn, you have a degree in elementary education, and Manda, you are an engineer by training. Why sewing? Manda Brandt: My mom used to sew. She would do custom bridesmaids’ dresses and sewing for people in our home. And then my grandmother was always doing home decor sewing, so they both taught me from a young age. I enjoyed working in engineering, but I would still do home projects. Robbyn Bybee: Nobody in my family sews really. But [when my family] moved into our current house, every window [was] wide open. I’ve always been somebody who likes to see something and figure out how it’s done. So I did my own drapes, and then friends asked me to do some stuff and it grew from there. 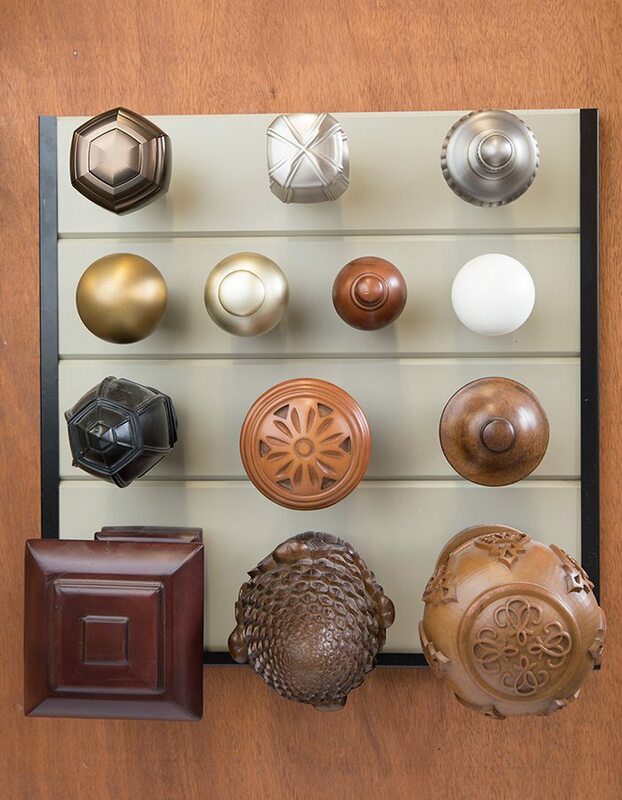 417 Home: Your first brick-and-mortar was in downtown Springfield. What are some advantages of your current shop? R.B. : We do get some walk-in traffic, so just the visibility and curb appeal of our building is good. M.B. : I think being in this community has been really great. I mean if we need wood repaired, there are people on the street that can do wood repair and painting, and it’s just fun to be in the creative atmosphere of C-Street. 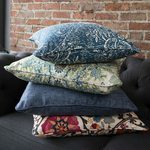 417 Home: What makes for a good upholstery project? M.B. 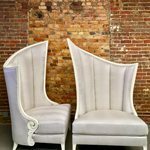 : [People] should reupholster things that have great sentimental value or that are very well made. R.B. : Or fit their space perfectly. M.B. : If it doesn’t meet one of those things, then they can probably buy it cheaper. 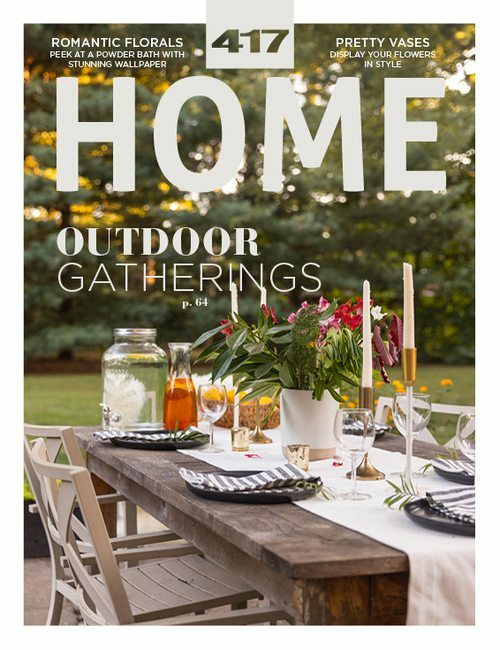 417 Home: What home decor trends are you loving right now? M.B. 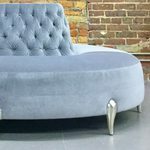 : We really like velvet and chenille-upholstered furniture. 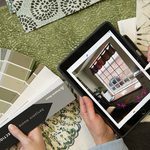 417 Home: What is one resource you recommend for someone working on a DIY project? R.B. : We love [the book] Spruce by Amanda Brown. 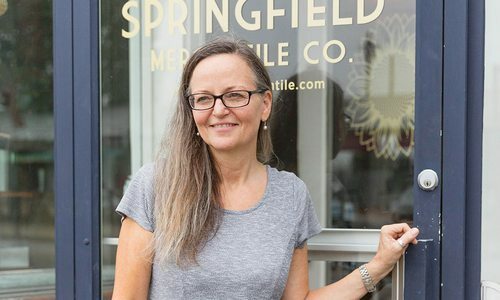 With Commercial Street’s Springfield Mercantile Co., Molly Brown is helping shoppers fill their homes with eco-friendly, high-quality goods. One of Springfield’s newest garden shops is helping indoor gardens take root. 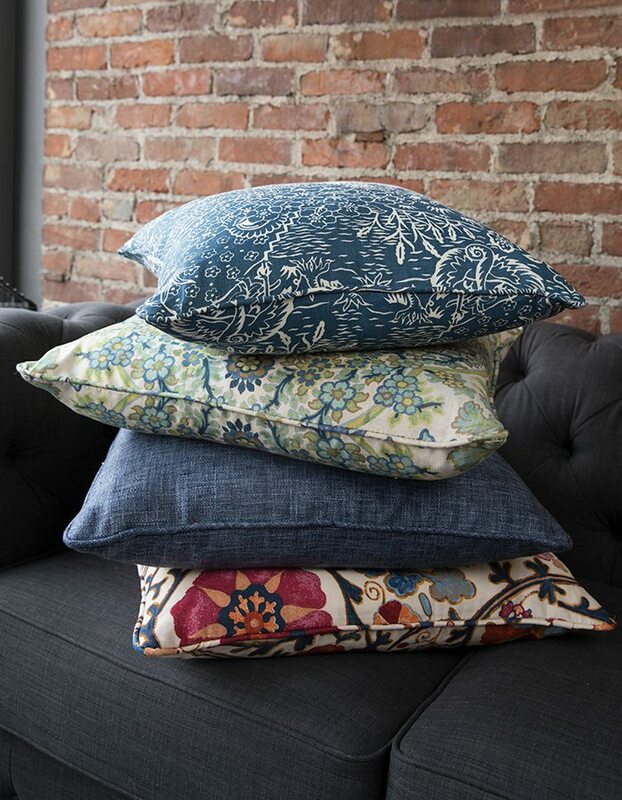 Refine Studios on historic Commercial Street is learning to embrace the local community one pillow at a time.